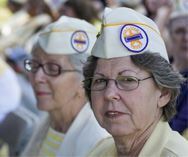 Southwest Region was formed in 1948, 65 years ago, just three years after Gold Star Wives of America formed in New York City April 5, 1945. Denver Colorado Chapter formed in 1958. First Chapters formed were Los Angeles, San Francisco, Long Beach and San Diego between 1949-51. Over the years some chapters have disbanded and others have began. Today we have 793 MAL (Member - At - Large) Members and 835 Members in the eleven Chapters listed below. SW Region has one annual Conference every year in March or April. GSW has one annual National Convention every year in July. Members at Large and Chapter members are active in their own communities in many ways. Some of these are: State and Federal Legislation, Homeless Veterans (Standdown), Snowball Express,Veterans Day Parades, Pearl Harbor Day, Gold Star Wives Day, Vietnamese-Vietnam Day, Color the Hill Gold, Memorial Day Events, which includes our National Cemeteries, Wreaths Across America, 50th Anniversary of Vietnam Commemoration Certificates for Surviving Spouses and Children, Iwo Jima Remembrance in Sacaton, AZ and First Vietnam National Memorial in Angel Fire. Our Members work with Army Survivor Outreach Services in all of our eight States and Guam. The main Fundraiser for SW Region is a Bakeless Bake Sale in the Spring. 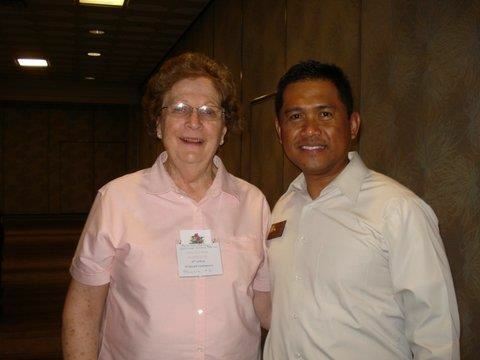 It is with great sadness that I report the death of Mary Ashton, Tucson GSW Chapter. Mary was the founder of the chapter and a long time member of Gold Star Wives of America. She died February 14, 2017 at the age of 94. She is survived by 3 children. Her son George Ashton called late on February 14 to inform Gold Star Friends of her passing. A memorial service for her this Friday, February 17 at 10:00 AM at the Desert Skies United Methodist Church, 3255 N Houghton Rd, Tucson AZ 5749. She is being cremated and her ashes will be placed with her first husband in Texas and a few other places she wanted to be remembered. The Tucson Chapter President Karen Burns Copley, members and some of the Phoenix Chapter will be at her Memorial. I know I have probably missed others who knew Mary so please pass to friends who knew her. Wreaths Across America dedication at the Colorado State Capitol, December 9, 2013. 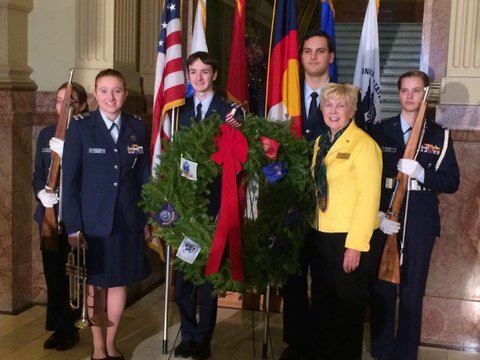 Denver Chapter President with Colorado Civil Air Patrol Cadets. 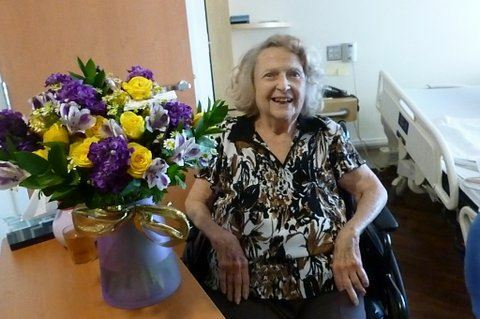 Marie Speer (GSW Founder) as she finished her rehab in Denver and was preparing to return home to Texas. 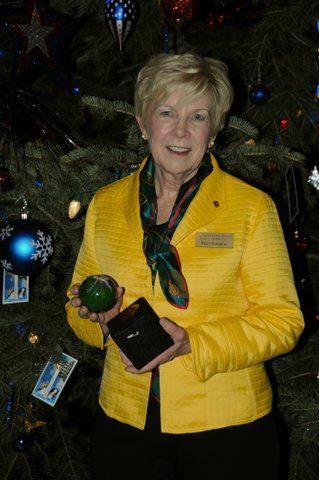 Dedication of Gold Star Holiday Tree at Colorado State Capitol December 4, 2013. Patti Sampers, Chapter President.